In any building, some fixtures or installations are meant for drainage or conveyance of fluids such as water and waste. These are called plumbing systems, whose installations are controlled by a set of rules and regulations on the best and safest practices. The drainage system is the most important part of any building and are the most used in our day to day lives. It is therefore inevitable that these fixtures at times will get clogged, broken, leaky or blocked. 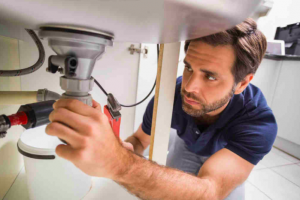 Be it a clogged kitchen sink, a blocked sewer or a leaking toilet; we always need to have an emergency plumber to attend to the unexpected even at the oddest of hours, not only to prevent further damage, but also to avoid exposing ourselves to any health risks. They have a team that works 24/7 to ensure that you don’t lack sleep or rest after a long day at work over something that may seem trivial as a leaking pipe, but the damage caused afterward may be unrepairable. You can count on their team that is professional, reliable, time conscious and has the best customer service. If you live in Austin, TX and need any urgent emergency plumbing, get in touch with their team today and let them help you prevent further damage to your home. Austin Plumber Online is a full-service plumbing company services all of Austin, TX. We are available 24/7 for emergency repairs, maintenance and inspections. Austin Plumber Online Address : 2515 Elmont Dr., Austin, Texas - 78741 512-377-6602 United States.